Whether you’re applying for a job or conducting a public meeting, communication is a vital tool for engineers to master. Here’s how you can get started. Don’t believe the stereotype: professional engineers aren’t shut away in workshops and labs. 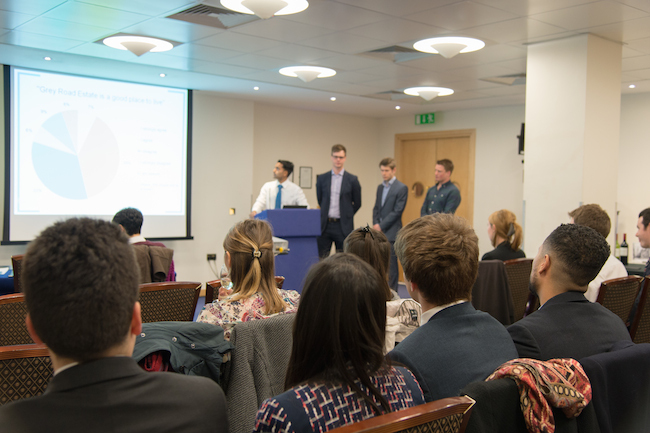 They’re at the heart of engineering firms and need to be excellent communicators to make sure their colleagues, customers and sometimes the public understand the importance of their work. 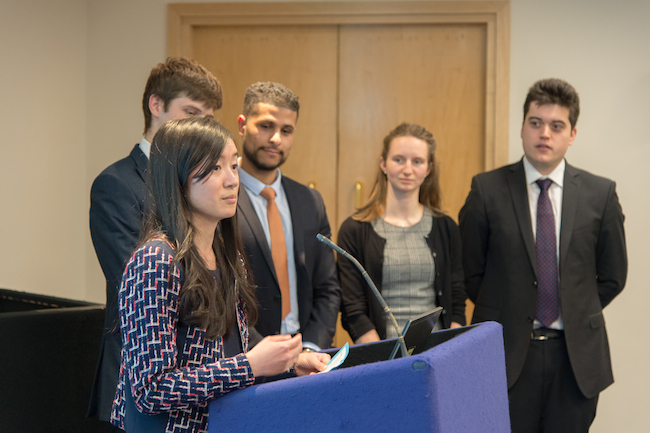 Earlier this week I judged the London regional final of the Institution of Civil Engineers’ annual Communications Competition, which puts students and recent graduates through the potential trauma of a mock public consultation. Not only did the entrants have to come up with viable plans for a civil engineering scheme, they had to persuade the audience it was the right thing to do. And true to life, there was even a rowdy heckler shouting objections (in the form of one of last year’s winners). Here’s a round up of the advice the judges gave the competitors based on the good and the not-so-good performances we saw. People need to know who you are before they can trust you. Before you can persuade anyone of anything, they need to know who you are and why they should listen to you. If you’re addressing a public meeting you should set out your role and credentials and those of your organisation. 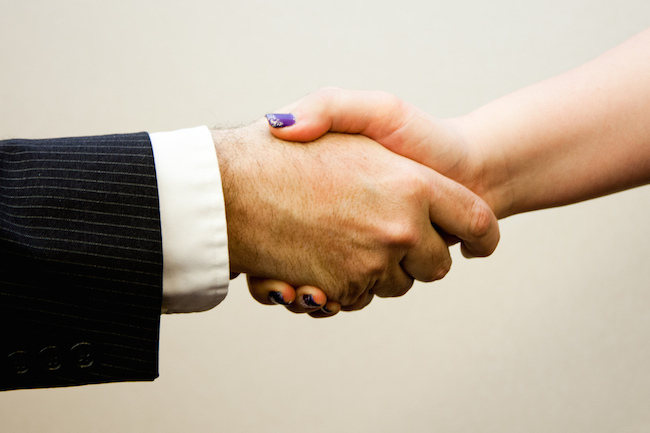 That will help build trust with your audience and give them a reason to take you seriously. Similarly if you’re writing a job application letter, you should start by summarising your relevant education and experience. The recruiter will then know you fulfil the basic criteria and it’s worth their time reading the rest of your letter. The only thing worse than listening to someone when you’ve no idea what they’re talking about is listening to them ramble on about nothing at all. The key to avoiding either of these scenarios is working out (or making a good guess) what the people you’re speaking to already know and what they will want to know. If there’s a risk they’re unfamiliar with technical details and jargon then keep it simple at first – you can always add more detail in later. And if you do mention terms or concepts they may not have encountered before then make sure you explain them in clear language. Equally, don’t skip over detail in favour of broad, bland statements full of meaningless marketing speak. (Avoiding any words or clichés you hear frequently on TV shows like The Apprentice is a good start.) Make specific points and back them up or illustrate them with examples while always trying to relate what you’re saying back to the point of view of the listener. Choose your style and language according to who your audience is. It’s not just what you say, it’s how you say it. Getting your tone of voice and the style of language right is vital to keep people interested, engaged and open. This will usually depend to some degree on what you’re talking about. How serious is the situation you’re discussing? How formal is the setting? How well do you know the people involved? But there are obvious things that always apply. Never be rude or patronising, even if someone asks what you think is a stupid question. Try not to speak as if you’re reading a script, whether you’re trying to remember all the points you want to make or you have notes in front of you. And always try to sound like you think what you’re saying is interesting and important – if you don’t, no one else will. When you’re talking to non-engineers, it’s important to understand that not everyone has the same enthusiasm for technology and design that you probably do. What they’re likely more interested in is what changes your engineering can make for them, whether that’s manufacturing products more cheaply, making a car run faster or reducing traffic congestion. If you can outline a problem and then explain why your proposed solution is the right one, giving appropriate technical details along the way, then you should find people much receptive than if you just bombard them with a grand plan. Similarly, in a job application situation you need to explain why your experiences and skills match the requirements of the role – listing them isn’t enough. The ICE Communications Competition winning team showed confidence as well as competence. You won’t convince someone of your argument if you don’t seem convinced yourself. Avoiding eye contact, mumbling and too much self-deprecation or making fun of yourself will make people think you either don’t know what you’re talking about or don’t believe it. Instead, make sure you speak clearly and firmly without being aggressive. Use positive language and focus on solutions rather than problems – you’ll find most people more receptive and make yourself look like a better engineer. And remember that everyone gets nervous. The trick is to act like you’re confident even if inside you’re suffering doubts about yourself. There is more, but that is the basic structure of any memo, note, presentation, speech as taught by MJB to engineering students at 4 universities. Fine – but when some cannot construct a sentence correctly it makes that advice almost redundant! A lifetime in communicating science and technology has shown me that engineers are among the worst communicators. Part of the problem is that much of their writing if for the “entertainment” of other engineers. And most of this is internal communication. Many engineers don’t need to write the papers that astronomers, for example, have to churn out to keep the grants rolling in. This communications gap is one reason why engineers don’t have the same public acceptance as all those biologists and particle physicists who hog the headlines when Jeremy Clarkson isn’t duffing up junior members of staff. A little bit of training is all it takes to turn an engineer into a communicator. But first they have to want to communicate and to realise that it is a part of their role in society. By all means stay silent, but don’t expect people to pay attention when you suddenly pipe up with your grievances. But don’t get too good at communicating. Some of us have earned a nice living making up for the shortcomings of engineers.